German interior minister Horst Seehofer has defended the Chemnitz protesters by calling migration ‘the mother of all problems’. 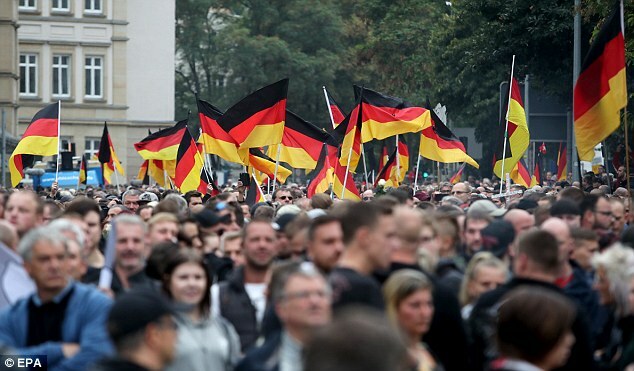 Seehofer, who was instrumental in nearly bringing down his own coalition partner Angela Merkel last month with his criticism of her immigration policy, emphasized that not all the Chemnitz protesters were far-right activists as he defended their actions. ‘If I were not a minister, I would have taken to the streets as a citizen – of course not together with radicals,’ Seehofer told the Rheinischer Post. Seehofer also called for a ‘pan-European solution to the migrant crisis’ adding that he believed ‘the migration issue is the mother of all political problems’.